Goal: Create a crowdsourcing development site for abandoned and underutilized properties. While driving the streets of Buffalo, Craig had an idea as he passed the familiar abandoned buildings that loomed over his hometown. As he came across a grain elevator, much like the one pictured above, he thought of creative ways this and other abandoned buildings could be reused to add value to the community. Quickly realizing the amount of funding to redevelop even one of these buildings would not be possible on his own and hating the thought that ideas like this die out, Craig set off to create 6ixr - a site for redeveloping abandoned buildings, powered by the crowd. 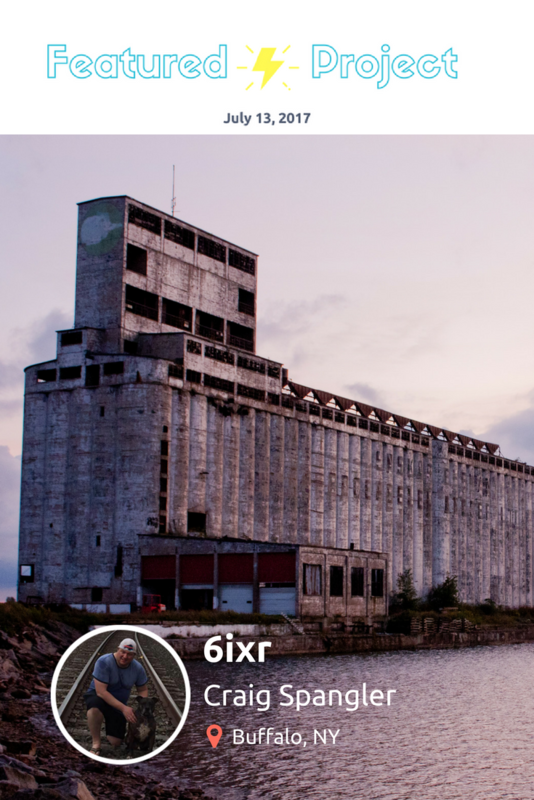 6ixr works to build a community that can help developers, municipalities, and businesses find new and creative ways to use existing structures. Why did you start 6ixr? I started this project to merge my passion for cities and my experience in IT to solve a problem that I see in the real estate markets. What area do you most need help in? Are you looking for anyone with specific skills? Interested in joining Craig's project? Take the next step on your idea. © 2014- DreamerMade. All Rights Reserved.